Guess what!!!!! 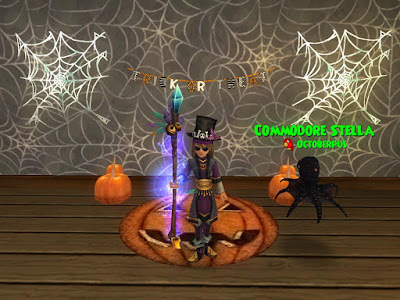 To celebrate Halloween and Pirate101's 3rd birthday, the awesome community managers gave me a bunch of codes to give you guys! Thank you Tom and Leala! If most of your pets are anything like mine, they get kind of bored just hanging out in my house waiting for me to bring them into battle. So I thought why not throw them a Halloween party? What type of decorations do you think would be good for this? It's up to you to decide! Give it a try and you could win some great prizes! 1. Decorate your bunkhouse as a Halloween hideout for your pet. Would your pet hang out in a haunted house? A haunted forest? A pumpkin patch? A haunted maze? Be as creative as possible. 2. Your design must include at least 3 Halloween items from the Crown Shop (these can be purchased with gold) and one pet. The Halloween items can be 3 of the same thing or all different. It's up to you! 3. Once you complete your bunkhouse design, take up to 3 screenshots. 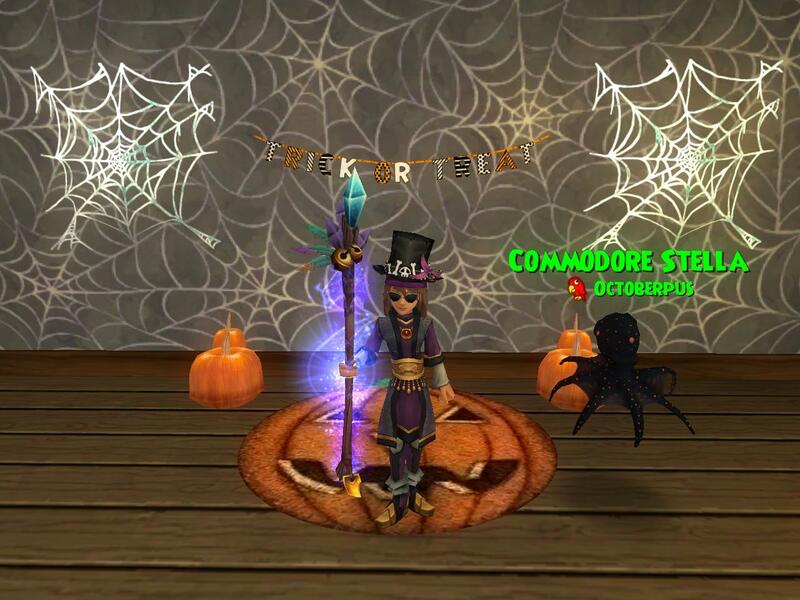 The Halloween items and your pet must be visible. 4. Email your pictures with your pirate's name and a short paragraph describing your design to secretsofthespiral@hotmail.com. Please put "Halloween Contest" in the subject line. 5. This contest will end in 2 weeks, on October 22, 2015 at 12pm EST (noon). If you enter, please be sure to read all the rules and requirements carefully. People who do not follow the rules will be disqualified. Also, please use your own original ideas. And most of all, HAVE FUN! One last note: Keep an eye on my Twitter feed throughout the month for more random code giveaways! I will be posting 2 random codes per week until Halloween. Good luck everyone!